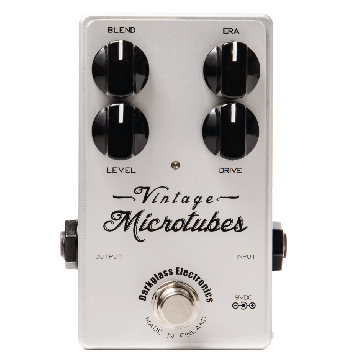 Darkglass Vintage Microtubes > Darkglass Electronics > Diffusion Audio Inc. 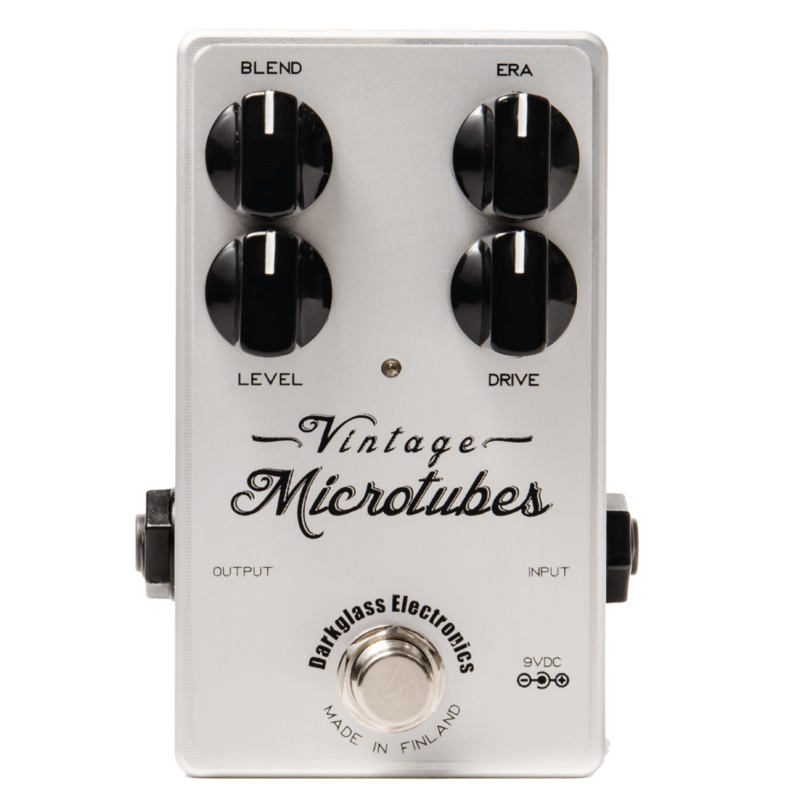 The Vintage Microtubes is the Darkglass tribute to some of the most legendary sounds in rock history. 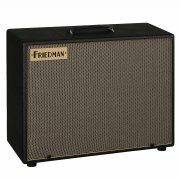 It provides warm tube-like tones with a natural dynamic response that echoes the organic compression of old tube amps and reel-to-reel tape machines. Level: Sets the volume of the overdriven signal. Drive: Sets the amount of saturation in the overdriven signal. 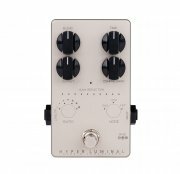 Blend: Mixes the clean input signal with the overdriven signal. The clean signal remains at unity gain while the volume of the overdriven signal is set by the Level knob, allowing for fine control of the blend ratio. Era: Interacts with the Drive knob to shape the character of the pedal. Dial it down to get the warm midrange tones of the 70s or crank it up to get the punchy metallic tones of 80s and 90s rock. Thank you for subscribing to the newsletter! We hope you enjoy shopping at Diffusion Audio Inc.
© 2002 - 2019 Diffusion Audio Inc.. All rights reserved.